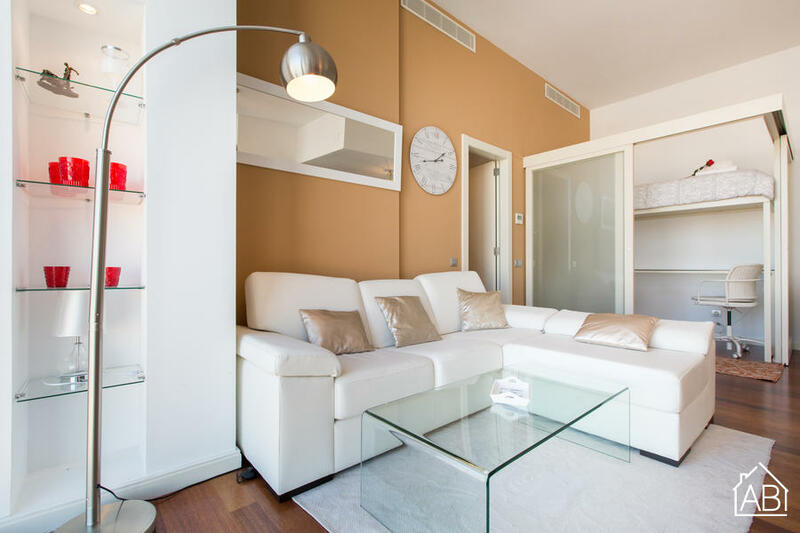 This beautiful two-bedroom apartment in Barcelona is the ideal choice for your stay to the Catalan capital. Situated in the Gothic Quarter, you will find yourself in close proximity to many amazing bars, cafés and restaurants. Located right in the city center, in the middle of an historic district, guests will find themselves surrounded by many sights such as the Barcelona Cathedral and the Roman ruins, while being able to reach Las Ramblas and other sights quickly on foot. This apartment is the perfect choice for couples or small families and can accommodate up to three people. The kitchen is fully equipped, with plenty of the utensils and appliances needed to create your very own home-cooked meals. The main bedroom has a big double bed with ample storage space, while 2 single beds can be found throughout the apartment. The apartment has one bathroom with a walk-in shower. This lovely apartment, complete with heaters, air-conditioning and access to a balcony, is the perfect choice for your stay in Barcelona, any time of the year.